I just want to say a big thanks to Chris once again for all of the help, advice, the flies and the lines. I got everything in a couple days ago and took today off to get out on the river. I had my first Tenkara fish in hand in less than 5 casts, the second in another 5. I fished for about 4 hours up and down a small river. I fished the #3 and #4 level lines and the Sakasa Kebari with peacock herl body and hen pheasant soft hackle. It worked great. I got a number of small fish from 5-6 inches up to a couple in the 10 inch range. Everything worked great and for my first day of Tenkara Fishing I am a very happy customer. I will be back for some more flies and lines along with any other great accessories offered at the TenkaraBum Store. Congratulations on a successful first trip. Very glad to hear that the lines and flies worked well for you. I must say I'm envious, though, just being out on a stream would be nice - and catching some tenkara trout would be even nicer. We're having the snowiest winter on record here. I don't know when I'll be able to get out again. Glad to read your report and see that you caught some good fish. I'll have to try to make it up there sometime this year (summer or fall). Thanks for the inspiration. As I write this, my first tenkara rod is on it's way. 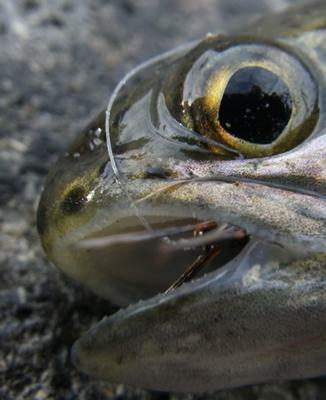 Trout season in OR is a bit off but I think a kayak trip down a small, local river is in order this weekend. Maybe there will be a few smallies looking for a quick snack. We have been experimenting with level lines and found that Sunset Amnesia 15lb works pretty good. It casts very similar to the fluorocarbon and is much less expensive. When I tried Amnesia, I felt that it was much more like mono than fluorocarbon (after all, it is nylon like regular mono). It will be fine as long as you never have to cast into a breeze. Try it and fluorocarbon back to back and I think you'll appreciate the difference. 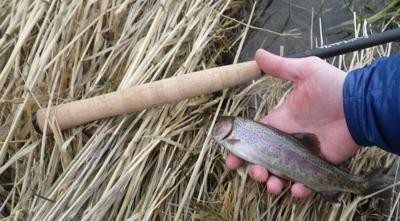 I love Tenkara fly fishing. I am from Bukarest, Roumanie, and i am flyfisherman about 30 years. Now I dyscover Tenkara style. I would not recommend fishing without the tip section (with the line running through the rod and out the end of the second section) except for one condition, explained later. I would think that would greatly increase the chance of breaking the second section. The forces on the end of the second section from the line coming out will be different than the bending force from the first section. Whether the second section would break from that force before your tippet does is uncertain, but you can bet that the rods were not designed to be fished that way and were not tested to see if they would hold up if you fish that way. The one condition is if you broke the tip section and fished the way you described for the rest of that day only. The reason I say that is in that case the tip is already broken and the replacement parts include the top three sections, so even if you break the second section as well, the replacement parts would still cover you. I would highly recommend buying the replacement tip sections and fishing the way the rod was intended. On an ongoing basis, it is easy enough to change lines while fishing that I don't see the need for an adjustable length line. Besides, how are you going to store the excess line when you have shortened the amount coming out from the rod tip. 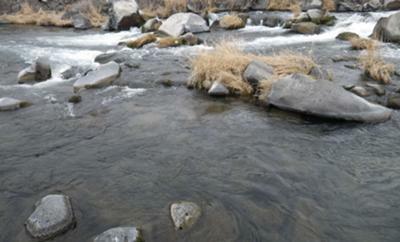 Don't tell me you're thinking of taping a reel onto your tenkara rod to store the excess line!